One of the things that interests me about a game like Heroes of the Storm is that, unlike other MOBA titles such as League of Legends, it isn’t free to just invent brand new heroes out of whole cloth. No, what Blizzard does in Heroes is takes popular characters from its other games and re-imagines them within the context and the gameplay of the MOBA sphere. This article goes into detail on the process of bringing StarCraft characters to life in Heroes, because it’s the 20th anniversary of the former and we’re getting Fenix in the latter as part of the celebration. Red Bull Esports interviewed Lana Bachynski, one of the animators, and Hero Designer Jade Martin about making that transition — how they go from a unit in a tactical RTS game and distill that unit down into its coolest elements to make it work in the battle arena format. One of the things I found most interesting about the article is how Blizzard tries to keep the iconic feel of characters that aren’t really characters in StarCraft. Lt. Morales and Sgt. Hammer are just Medics and Siege Tanks in the RTS, so to convert them to work for Heroes requires bringing all the elements that make them cool as units and instilling personality into them. The example given is Blaze, the Firebat unit, and it’s a good one because Firebats in StarCraft establish a lot of their feel with a few lines of dialogue. Personifying that just makes it easier to get it across in the more individualized sphere of Heroes of the Storm. We look for little things that people remember from playing these games. The Firebat, Blaze, was one of the more iconic faces and units from StarCraft. We knew we’d love to bring him over. With Morales, a medic is very cool, with a unique way of healing that we didn’t have in the game at the time. Also something I found worth considering was Lana Bachynski’s point about how, while they would like to port in every StarCraft unit eventually, some will take more work than others. For instance, some units take more time finding the gameplay hook, the beats old school players remember about the characters, and how to make them look and move right to be faithful to the original while still being recognizably Heroes of the Storm in what they do. 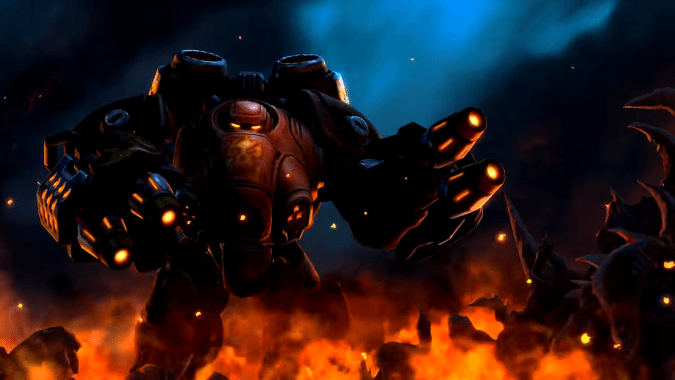 The full article is over at Red Bull Esports, so go check it out if you’re interested in how Blizzard makes units like Fenix work in a whole new game.